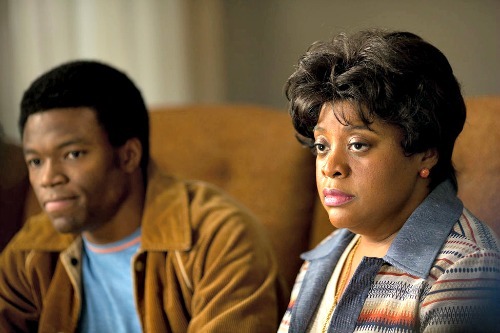 Woodlawn: Can Jesus Fix Race Relations? Woodlawn tells the true story of race, rivalry and religion within the confines of Birmingham Alabama's Woodlawn High School, the last school in Birmingham to integrate. 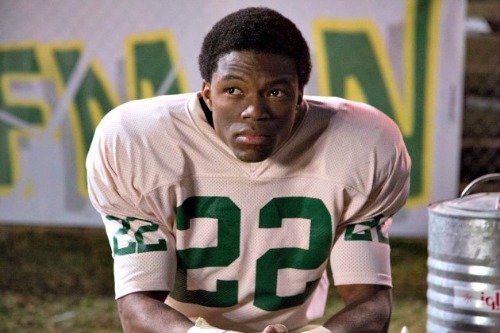 The story follows wonder kid athlete "Touchdown" Tony Nathan (portrayed by talented newcomer Caleb Castille), as his gridiron skills breathe new life into the wildly unsuccessful Woodlawn football team. Solid performances by Nicholas Bishop, Jon Voight, Sean Astin, C. Thomas Howell and Sherri Shepherd (in a refreshing dramatic role), as well as powerful action shots from the gritty football field, give Woodlawn the Hollywood action movie feel that makes you forget it's a Christian movie. Oh, but Jesus does make an appearance, in a most fascinating way. As Birmingham stood divided and torn by race and rival football teams, an unlikely evangelist stepped in to spread the message of one God and one love. The film is directed by brothers Andrew and Jon Erwin. I recently sat down with Andrew Erwin to discuss the 1973 Woodlawn story that is still so relevant today. What attracted you to the Woodlawn story? This was a story that I loved, that I grew up hearing, and I've heard about this team and this game that was the biggest game in the Southeast. I heard about the love that these [rival] teams have for each other, and I heard about the race and reconciliation, and that attracted me as a filmmaker. How did you achieve the balance between the dual storylines of racial strife and religion? Our story is told in two perspectives, it's a white perspective and it's an African American perspective. There's a cynical view and then there's Tony Davis's view, and the two collide in this message of love that happened in Woodlawn, the last school to integrate in Birmingham. Did conversations about current race relations invade the set? And he was in tears. And in that moment, I tried to step outside of myself and I said, can you help me understand? I understand that this is important, but as a white man from the South, I don't want this to go over my head because I don't have the same experience. Please help me understand your pain. What did you learn from that conversation about Ferguson? And I began to take a step back and I went home. And a few days later, the Eric Garner situation flared up in New York, and I went back and I watched the video and I sat there in tears. It messed me up for a couple of days, and just for me, I just felt like, when telling the Woodlawn story, I wanted to make sure that it united instead of divided. As we were finishing, Baltimore happened, and Time magazine had the cover of the Baltimore riots and had 1968 crossed through and 2015 on the front page. And I got chills, and I said, God, what a privilege to tell a story like this where it's not my experience--it's people's life experience that actually walked through this, and saw a lot of good, and their life experience had a lot to say. Woodlawn opens everywhere October 16. Photos: ctsy. Woodlawn, used with permission. 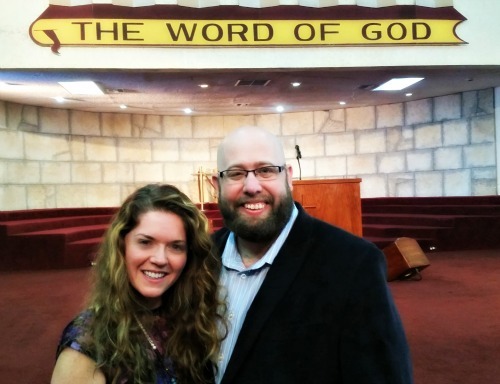 Photo of Andy and Mandii Irwin, inside Mount Tabor, Global United Fellowship, by Zondra Hughes for HuffPo.